As a kid growing up in the 80s I played with my yoyo a lot. We didn’t have information on finding the best yoyo for beginners – we just went out and played. There were regular tournaments held at the local malls and everyone was Walking the Dog or going Loop da Loop. The great news is they are back and the craze is worldwide. Thousands of kids and adults around the world are practicing Around the World, the Creeper and the Elevator and if you hit the search button on YouTube for trick tutorials, you’ll be astounded with the number of views some of the videos have received. 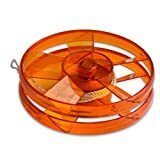 The cool thing about this simple toy is how accessible it is, from the price right down to the fact that you can buy one pretty much anywhere. It’s also one of those past-times that crosses all barriers; try and communicate with someone from Japan in their language and see how far you get, pull out your yoyo and do a quick UFO and in seconds you’re speaking the same language. From a developmental point of view, they also serve a number of uses, from building hand-eye coordination, socialization and helping kids with their confidence as they start mastering new tricks. An added bonus is that it gets them away from the TV or their PC. Whether you want to get nostalgic and try doing it for old times sake or your kid’s asked for one, here are our top 9 yoyo picks. These are from some of the best yoyo brands around today. 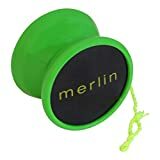 From beginner to pro and anywhere in between, the Merlin is perfect to easily perform tricks like the Trapeze, Split the Atom, Braintwister, or the Double or Nothing. With its silicone response system and a narrow C sized bearing you get the right amount of responsiveness for your standard tricks too. Described as the yoyo of the 21st century, the patented Velocity® is the first of its kind. By turning the Adjust-O-Matic Dials on both sides, it’s transformed from a classic up and down yoyo into a beast of a long spinner, perfect for string tricks. It’s like two for the price of one! This looks so cool, you’ll have won any competitions before you’ve even done your first trick. The Sidekick Pro, which comes in blue with gold and silver splashes, is a beautifully designed and silky smooth aluminium alloy high-speed professional yoyo, perfect for most skill levels. Its design gives it plenty of stability and great spin time for longer combos and do we need to say anything about the awesome color combinations? Not called the Loop 360 for nothing, it pretty much does a Loop da Loop out of the box. As cool as all the new styles are, with responsive and nonresponsive options, sometimes all you want is a good old classic. Reminiscent of days gone by, this is the yoyo for you if you want to learn or master your Professional Aluminum classic and looping yoyo skills. The Yomega gift set includes three yoyos, the Raider, Maverick and the Ooch-Yo; Yomega’s top three yoyos for tournaments, extreme play and advanced play. The three pack set is an awesome gift and can be used by beginners, right through to advanced players. The Raider is awesome for looping and the Maverick can loop but is meant for string tricks. Last but not least, the Ooch-Yo should be called the Ooch-Wow with long spin times for extreme string tricks. If you’re into collectables and memorabilia, then you’ll love the Duncan vintage replica yoyo circa 1955. An exact reproduction of the “Crossed Flags” Tournament yoyo it makes a perfect gift for any vintage toy collector or player. Made with the finest wood and aged for a minimum of six months to assure perfect balance and flawless performance, the ‘retr-yo’s’ is identical to the 1950s model. Included is the Master Champion Trick Book, considered by many to be the most comprehensive collection of tricks. Whether you know your way Around the World or are novice, the booklet will get you Walking the Dog in no time at all. As a mum I’m always looking for fun party favors and stocking fillers and these Emoji Light Up Yoyos are perfect. Combining the fun of a yoyo with the appeal of the emoji, they light up as they go up and down. There are eight included in a box, each one with a different expression. The battery can’t be replaced so once they’re flat, they’re flat, but the yoyo itself will still provide hours of entertainment. 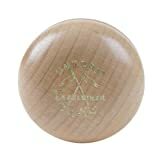 More of a technological orb than a yoyo, the Maverick is one of Yomega’s most popular products. Made of airplane grade aluminum, yes airplane grade, with an edgy laser etched print, the Maverick has been remodeled to meet the demands of high-end pro yoyo players. Designed for high-speed spins, it’s the ideal choice for learning how to master advanced string tricks, from the Double or Nothing right through to the Atom Smasher. By now you know I always try and include something a little different, something that meets the criteria but not quite what you expect and this flying yoyo is no different. 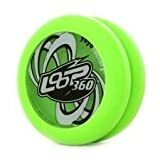 Half yoyo half flying disc, it flies out of your hands and comes right back. After you learn to throw it, take it up a notch with some cool looping tricks, just like you do with a real yoyo. Feature image courtesy of Flickr, piviso_com.